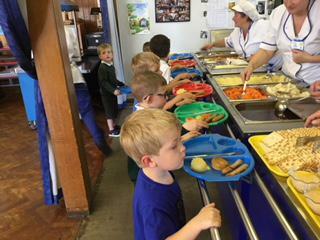 Well done to the children for their first experience of a hot dinner in the school hall. 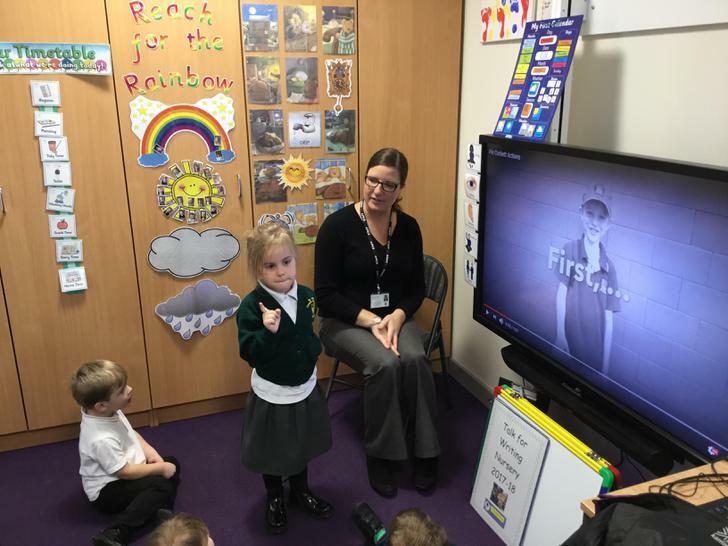 We have really enjoyed watching the life cycle of a frog. They are now back in the same pond, where they started as frog spawn! Busy Bees are the winners! 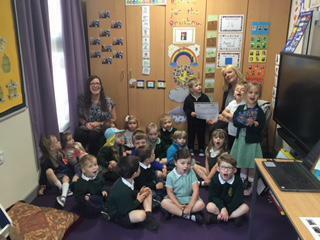 Well done to the children for winning the Grow Beans, Grow Confidence competition. 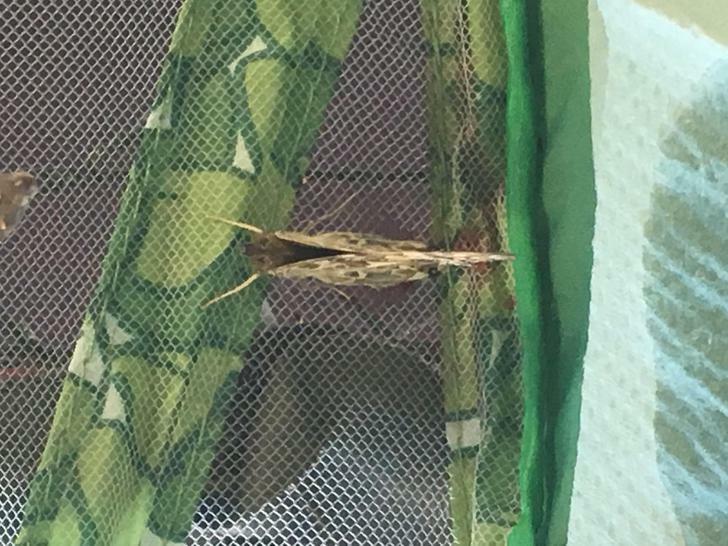 Our butterflies have hatched. 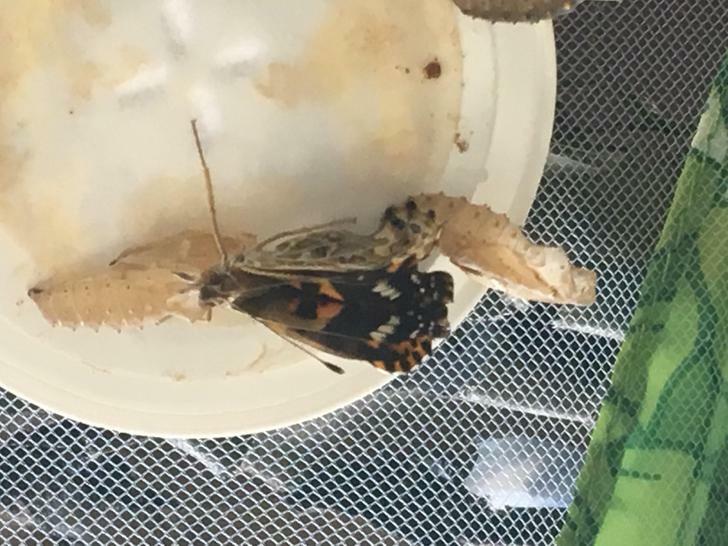 We took them on to the school field to set them free! 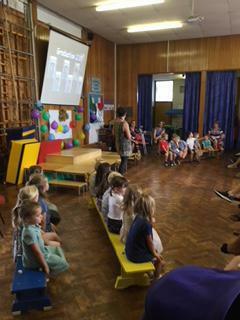 The children enjoyed learning about being 'sun safe'. Jo read us a stroy about the 'Slip, Slap, Slop' moto. 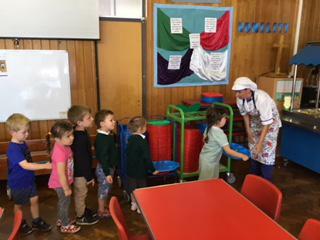 Welcome to our new children, we hope you enjoy your time with all of the Busy Bees at St John’s Nursery. 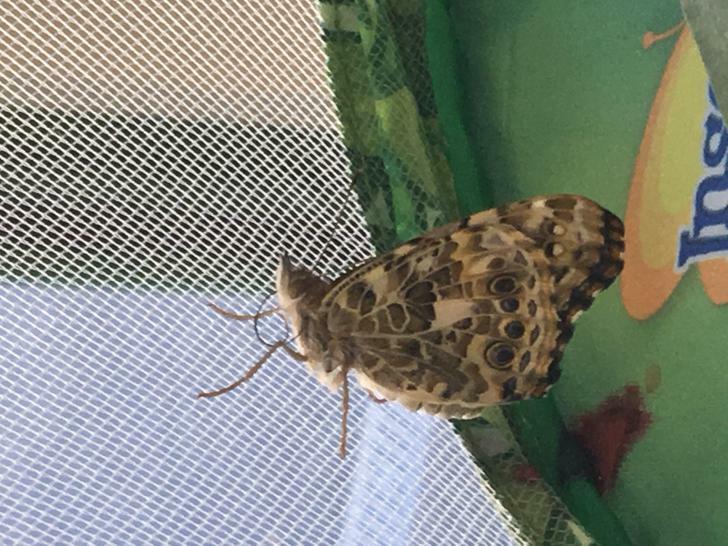 This term we are learning a lot about growing, changes over time and the wonderful creatures all around us. 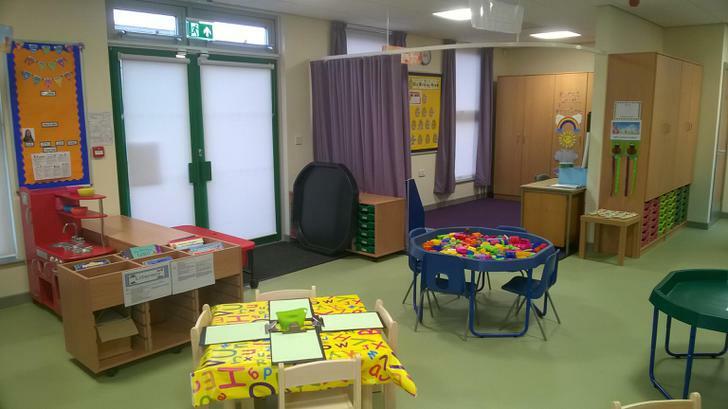 Keep a close eye on the website for regular updates and images of our learning. 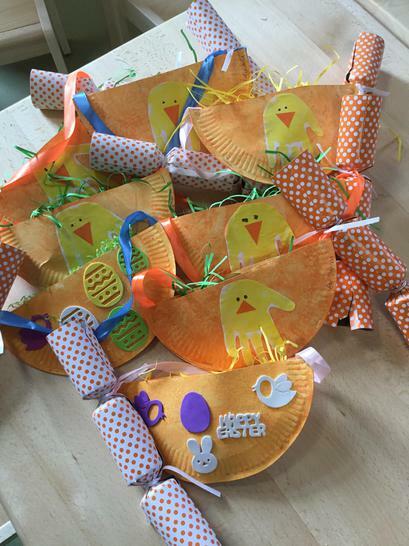 The children have thoroughly enjoyed their Easter activities this week. I hope the Easter Bunny comes to us visit us before we break up for half term! 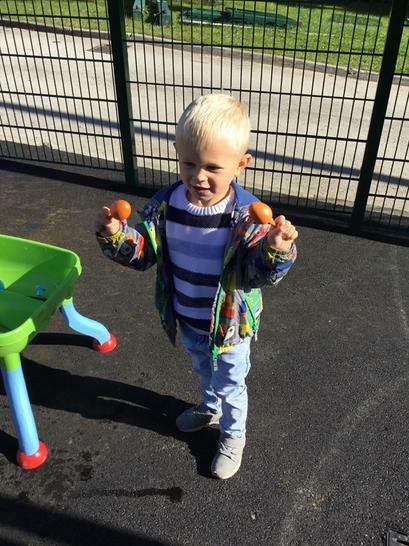 Phew, the Easter Bunny came and we went on a number egg hunt and we all went home with a yummy chocolate egg! 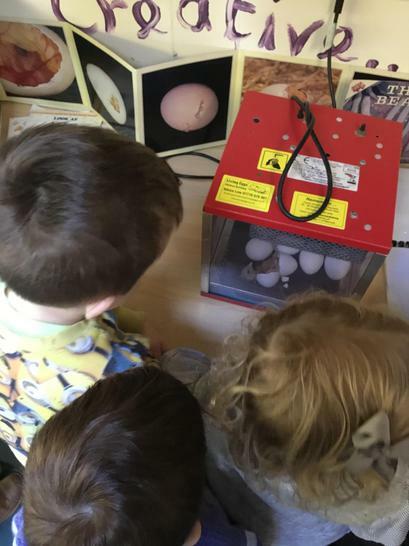 Today the children experienced the hatching of one of our chicks! 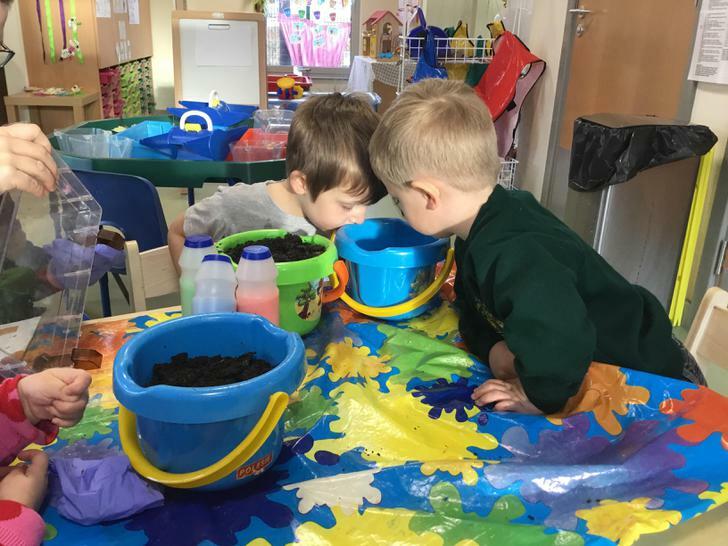 We are really looking forward to our new topic this term 'Living and Growing'. 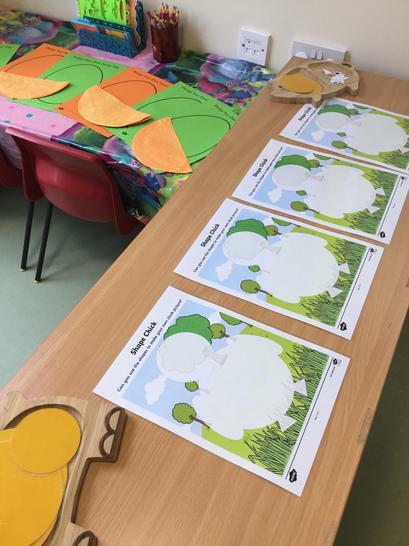 The children will get to experience the life cycle of a chick, when we go to visit the eggs in Reception and learn about how we change over time. 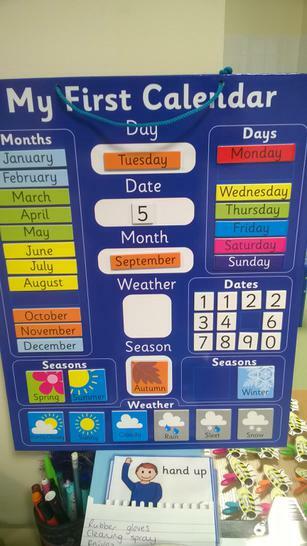 Please remember to check your child's draw each day to keep up to date with any communications that it given out. 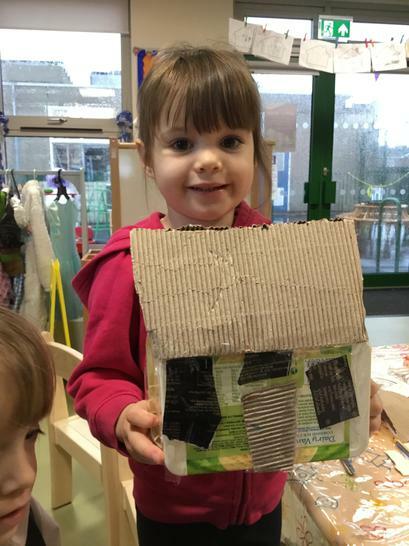 Linking in with our current topic of 'Houses and Homes', the children have really enjoyed designing and creating their own houses using the junk modelling materials. 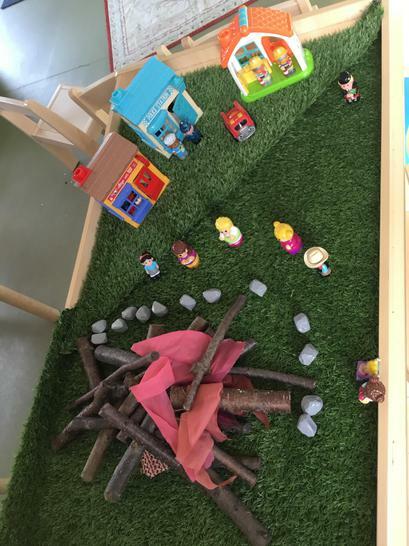 They have gained a lot of knowledge about how to join different materials and making models for a purpose. You will be able to see more images of your child's work in the main school kitchen window as you walk to Nursery. What an exciting start to 2018! 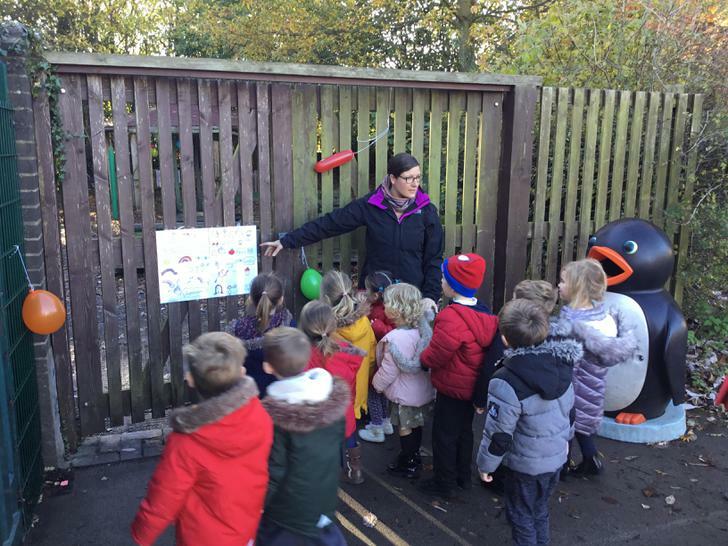 The children have started the new year with a very positive attitude and have welcomed our new January friends into our Nursery. 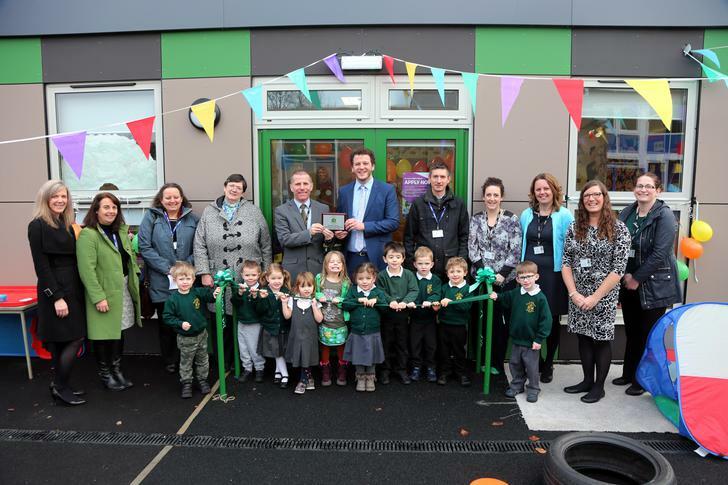 On the 10th January, we invited some special visitors and children to the Nursery for our official opening ceremony! 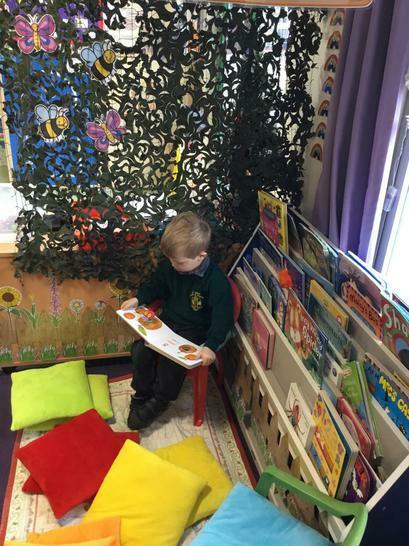 The children really enjoy choosing their own stories in their Reading Garden! 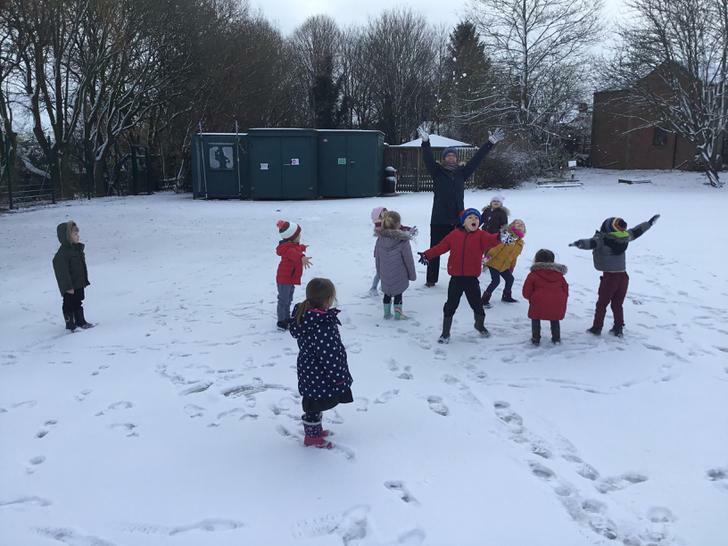 The children have thoroughly enjoyed playing in the snow! 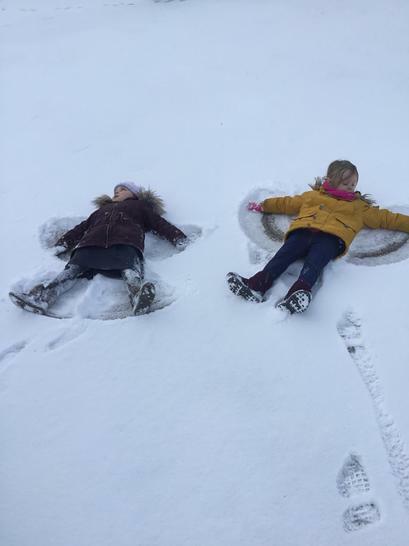 At St. John's we will always take the children out to experience the snow if it is safe to do so. Please make sure your child is sent to school with the appropriate clothing and footwear for the weather. The children had an amazing time perfoming their nativity and meeting Santa! 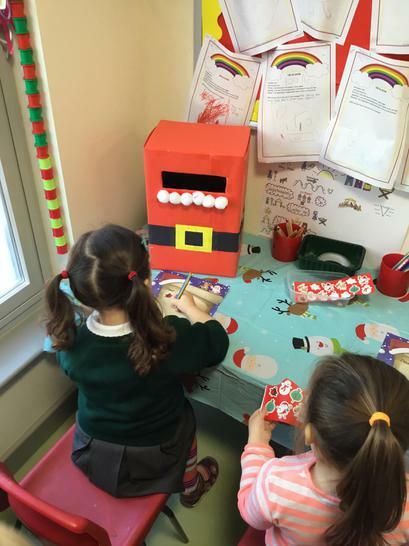 Our advent calendar is ready for the children! 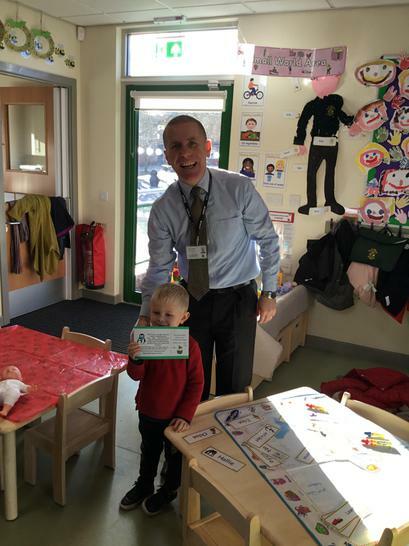 Well done to Hugo for winning a free cake for his efforts in the PTFA colouring competition! 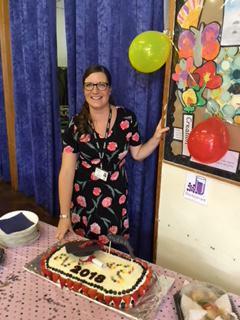 Wow, what an amazing start to the academic year! 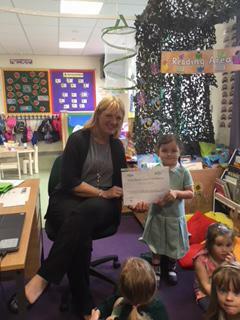 Well done to all of the Busy Bee Nursery children in Sudbury class. 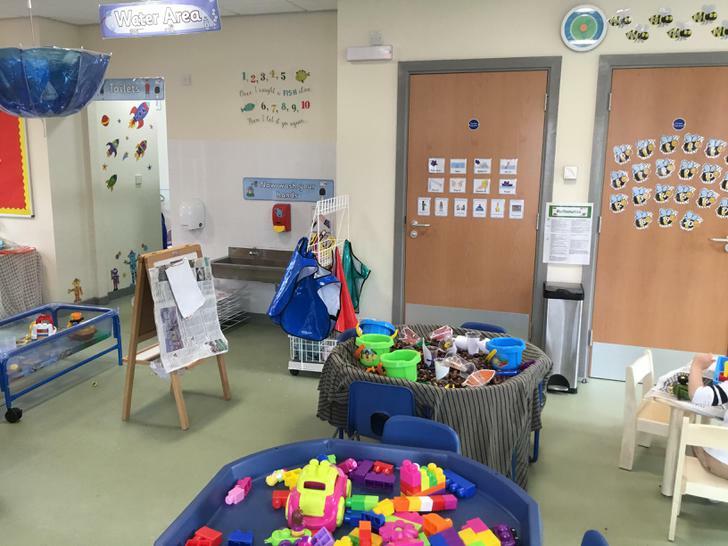 We have had so much fun, learning in our new environment, playing with the wonderful toys and getting to know lots of new friends. This week we are thinking about your child's favourite Nursery Rhyme. 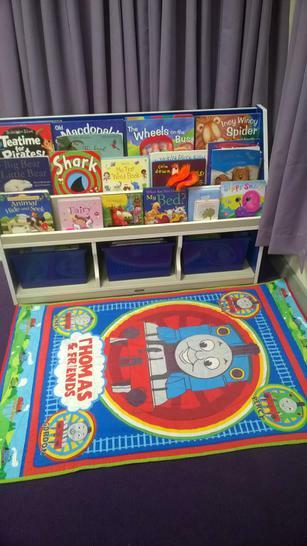 If possible, please bring in a picture, a book or an object to represent their favourite rhyme. 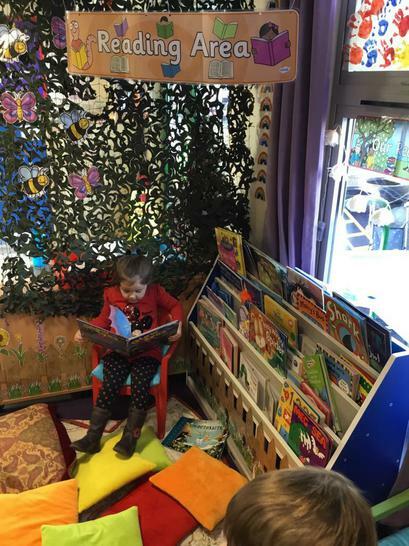 During our daily story time, your child is given the opportunity to share their rhyme with their friends. As part of our phonics, we will be going on a listening walk around school, to find out what sounds we can hear around us. 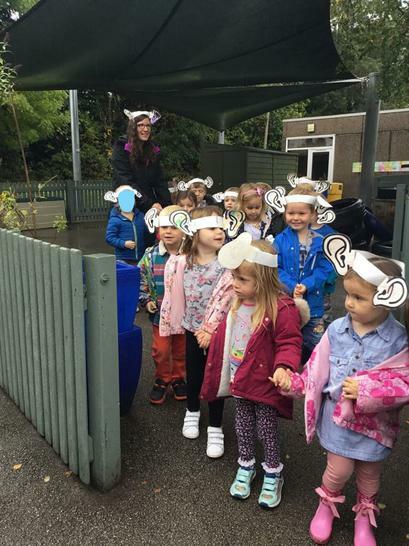 We will be teaching our children how to use our listening ears- it would be great if you could encourage your child to do a sound walk around your home- what can you hear? Encourage your child to stop, be quiet and listen to what is around them. Let us know what you can hear! We will also be creating our own noisy shakers! This will encourage the children to distinguish between different sounds and explore how sounds can be changed. In our reflection time at the end of our session, we will be talking about what makes us happy and how we feel when we are happy. We will also be learning the song "If You're Happy and You Know It" to sing when we are feeling happy! Talk to your child about what has made them happy each day- you could tell them what has made you feel happy too! 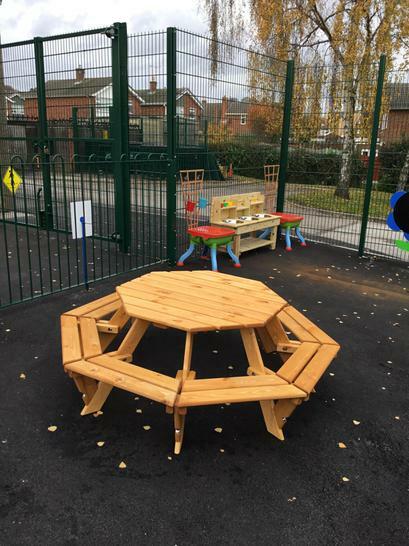 Our new climbing frame has arrived! 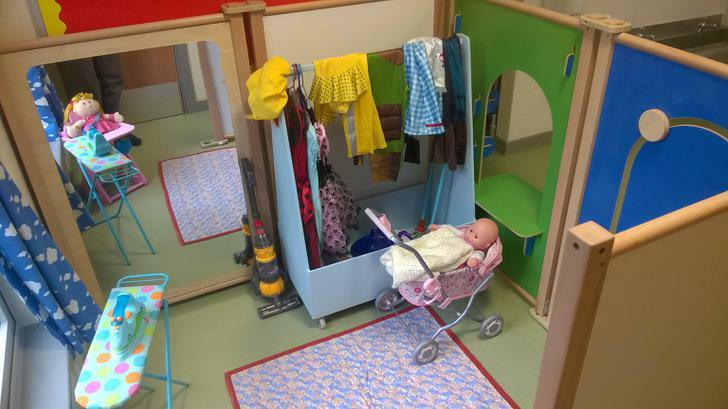 The children are very excited about using it and are fully aware of how to use it safely and the rules they need to follow. 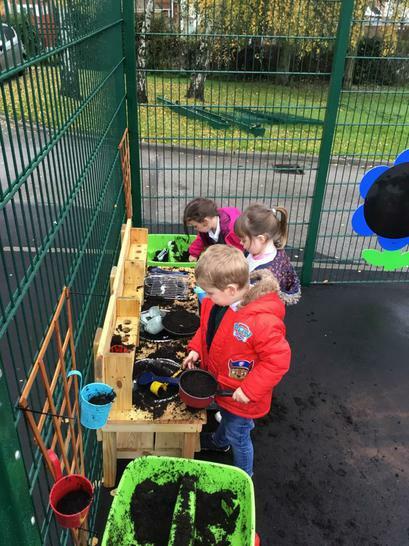 Lets hope for nice weather so there can be lots of outdoor learning this week! 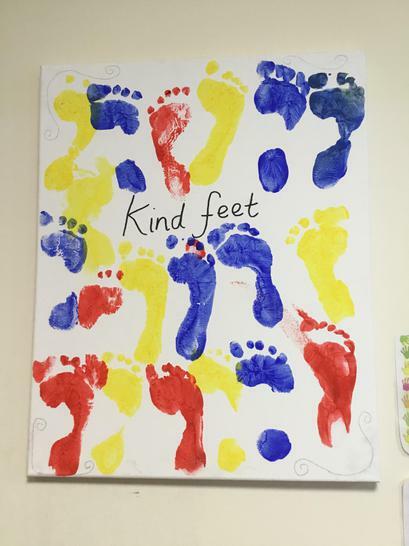 During this week the children will be thinking about what kind hands and kind feet are by creating their own art work on canvases. We will develop their understanding of the importance of being kind through regular circle times. To continue with our topic of 'I am Special' the children will be making biscuits shaped like a body. It will be interesting to find out which body part they will eat first! As part of our Literacy this week we are developing our story telling skills by producing our oral stories, with the aid of our story maps. Here are a few that we have created so far this week. 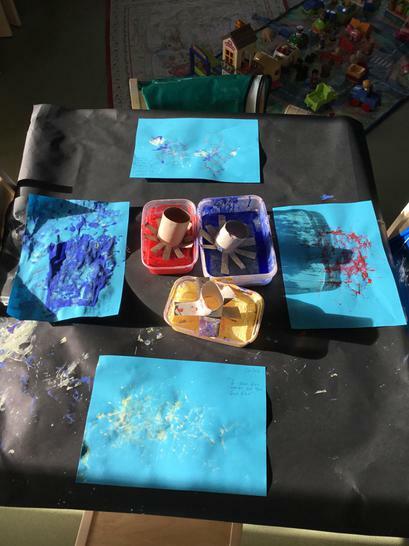 The children enjoyed producing their canvas to display in the classroom. 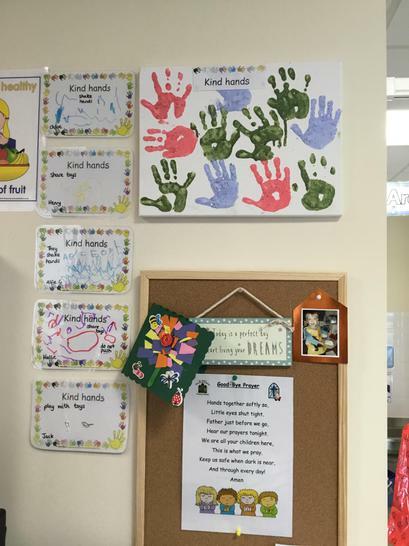 We spoke about why we have kind hands and feet and the children came up with their own ideas of what kind hands and feet do, their favourite ideas were tickling hands and stamping feet! This week we are thinking about being healthy and all the ways we keep healthy. 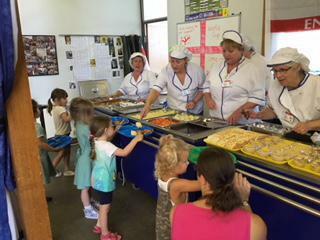 Children will be trying different fruits and vegetables at snack time and taking part in our daily exercises. We will feel our heartbeat before and after to see how it changes. 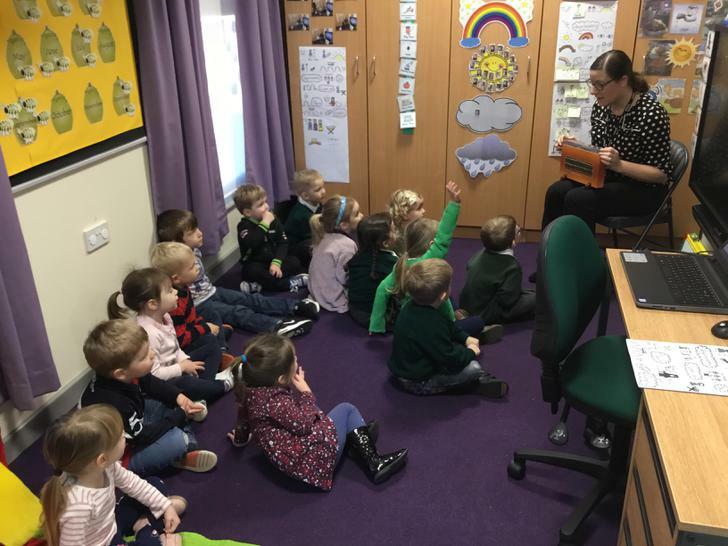 During story time the children will be listening to familiar stories and learning lots of new stories. 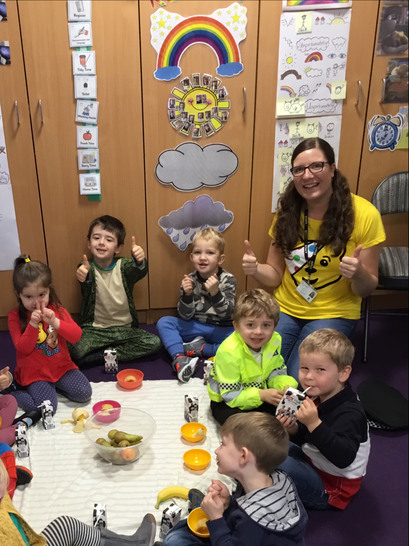 Our favourite one at the moment is 'Wiggle and Waggle' ask your child to tell you the story at bedtime! Next week the children will be using their baby photographs to talk about how they have changed over time. This will also give us an opportunity to talk about how we are all unique and all have different skills. 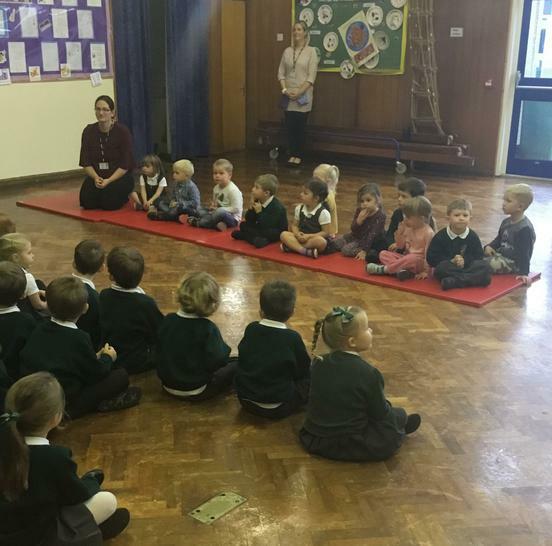 On Thursday the children will have the opportunity to go in to the school hall to watch the Reception children perform their Harvest songs to celebrate this special time of year. Your child's personal learning journey should now be available for you to log in to, if you have any problems please let me know. 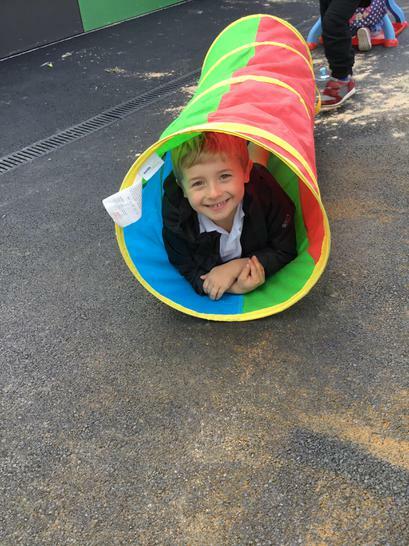 Have a lovely half term and we will see you on 30th October. Welcome back! 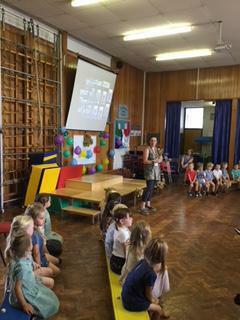 During this week your child will be learning a range of actions to help them with their story telling. Here are a few examples from the beginning of the week. 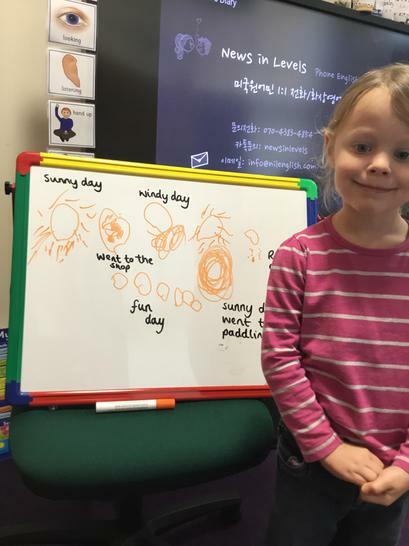 Your child will then be using these actions to retell a story and create their own story map to read. Throughout the week we will be talking about Bonfire night and how to keep safe. 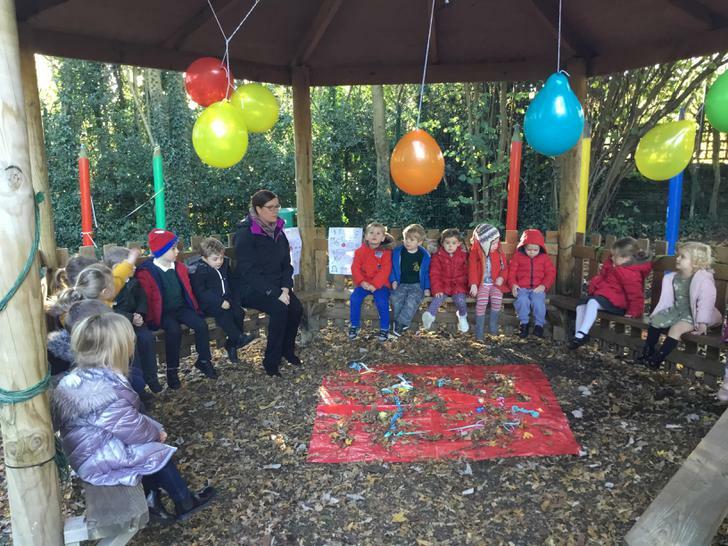 We will create firework pieces of art work to be displayed and enjoy the bonfire small world area. 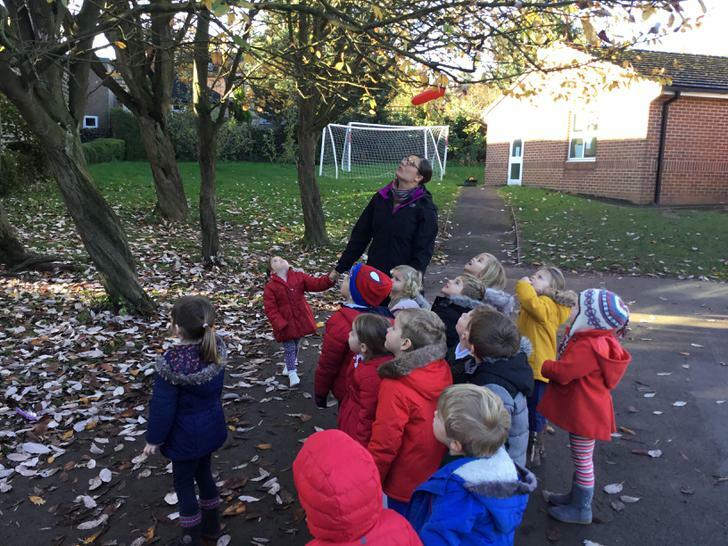 I hope you had fun collecting your leaves for your hedgehog collage this weekend! Don't forget to bring them back in to school so they can be displayed in the classroom. 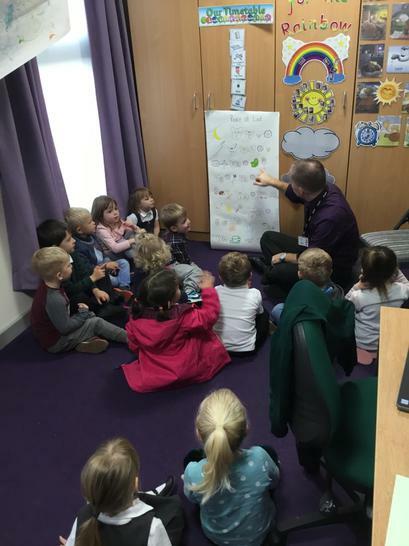 Following on from the 'Learning at Home' this week we will continue to learn about night-time animals. 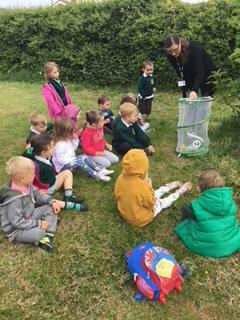 We will think about where they live during the day and what we can do to encourage more animals into our garden at night. 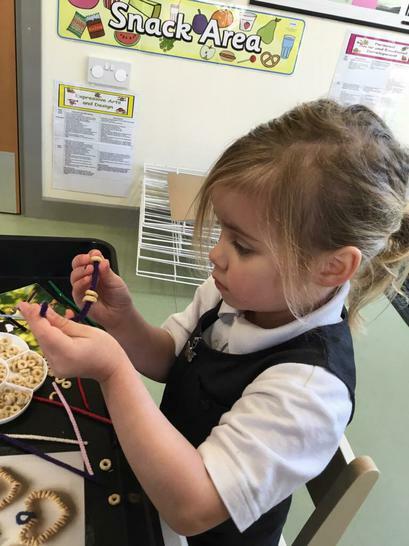 Your child will be making their own bird feeder to bring home and we will create a class fact book about what we have learnt. 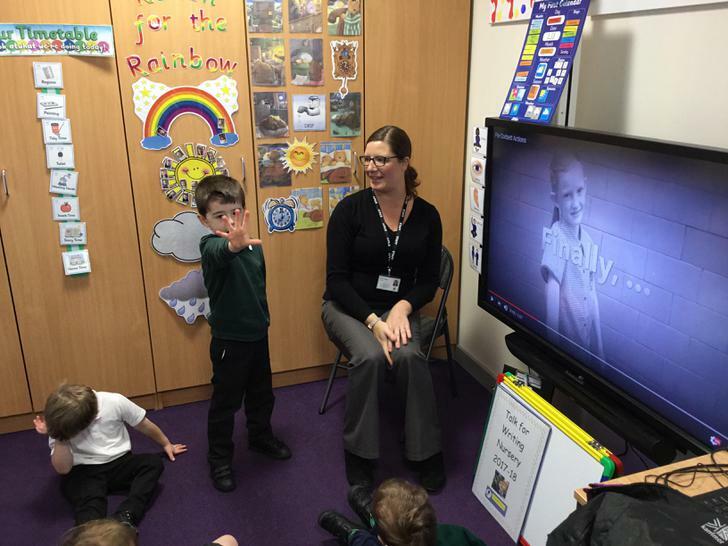 This week the children will be fully engrossed in our talk for writing story telling 'At the end of the Rainbow'. Leading on from last week when we went on an adventure to the end of the rainbow, we will be making rainbow rice crispy cakes. Hunting for our rainbow numbers, creating colourful rainbow patterns and thinking of different characters that we could have in our story. 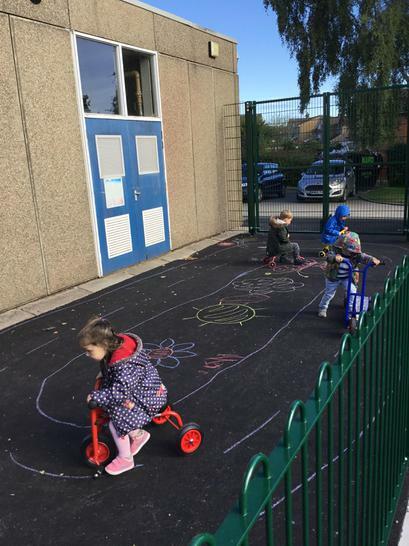 The children followed the trail of the rainbow to find the horses wings! 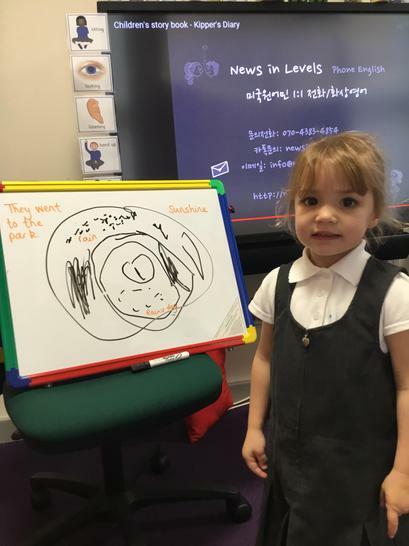 For our phonics this week we are learning the letter 't'. 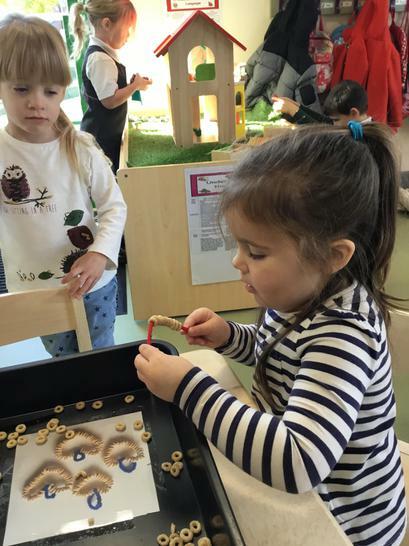 We will be finding different objects around Nursery the start with the correct initial sound. 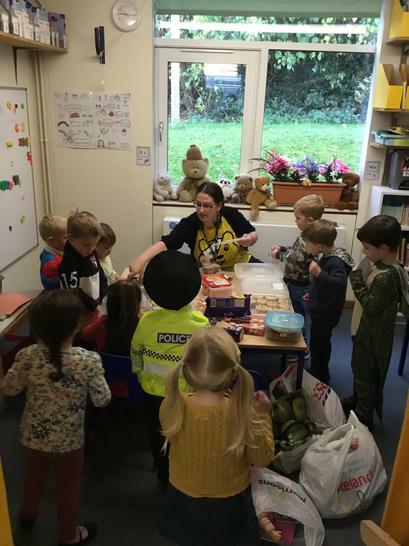 The children thoroughly enjoys raising money for children in Need. We visited the bring and buy sale, bought some yummy cakes and had a 'Pudsey Picnic'. 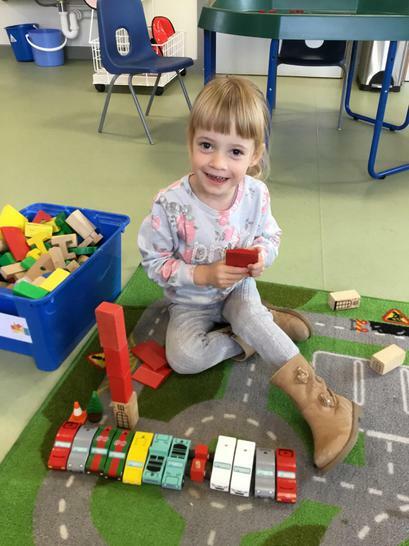 Thank you for your support and the great pictures you are sharing on our Evidence for Learning app. 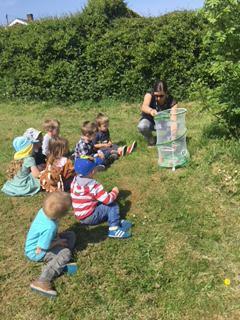 This week the children will be thinking about what it is important to look after our little creatures. 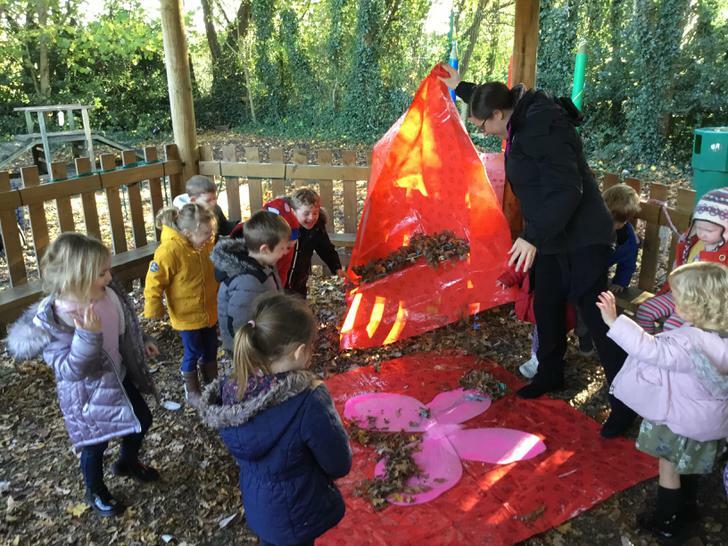 We will be setting up our very own wormery! 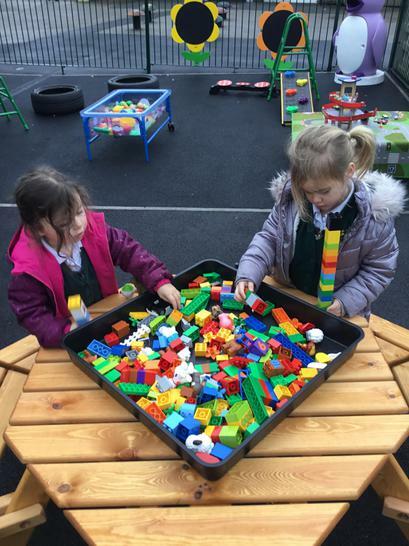 The children have thoroughly enjoyed getting muddy today and using their new work bench! For phonics this week we will be learning the letter ‘p’. If you have any objects that start with this sound, please bring it in for our sound box. This week the children will be starting their Christmas craft activities and practising our Nativity, ready to show you on Wednesday 6th. 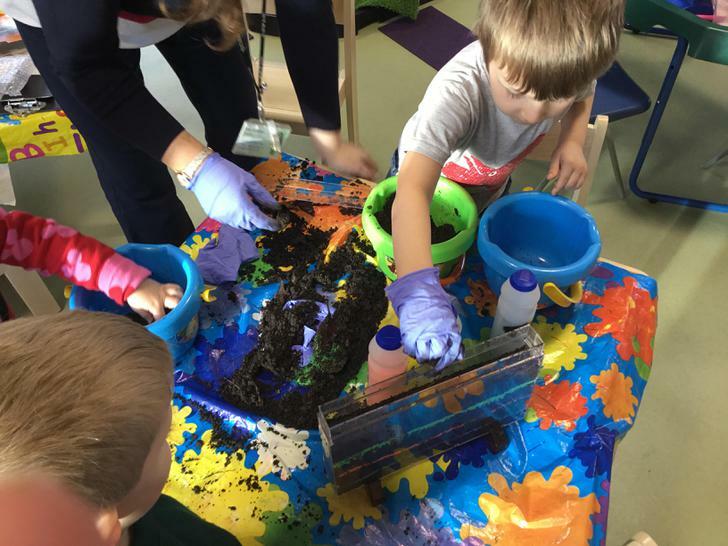 We will also be keeping a close eye on our 'Worm World' that the children set up last week, hopefully, we will be able to see them tunnelling through the mud! This is a great opportunity to talk about how to look after little creatures and how important they are to our environment. 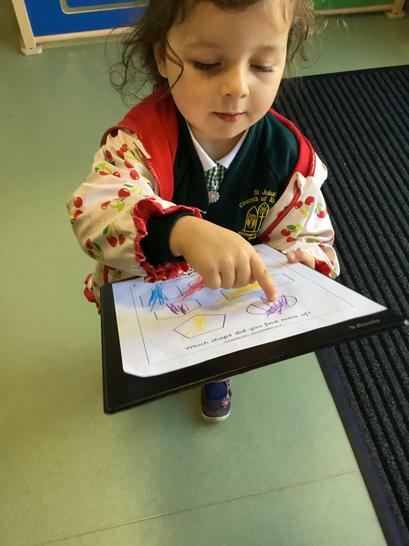 Please remember to check your child's drawer regularly to make sure you are up to date with the latest news and information. This week the children are learning about different types of houses from around the world. 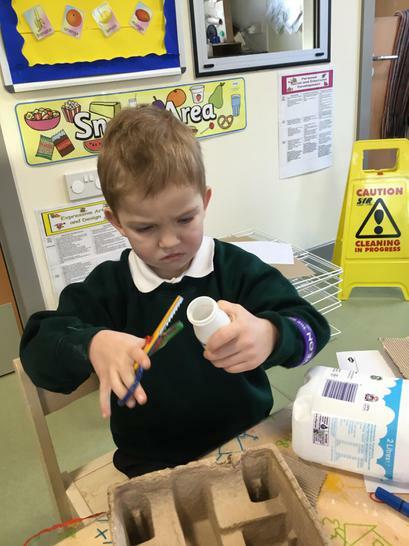 They will be designing and creating thier own house using a range of materials in our making station and thinking about what kind of house would withstand the 'huff and puff' of the big bad wolf! 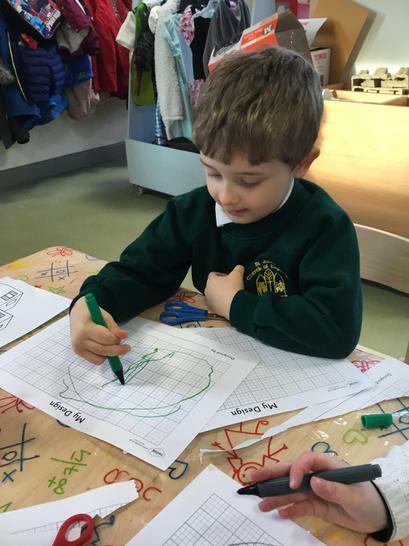 In maths, we will be using the Numicon and playdough to help us with our careful counting. Our sound for the box this week is 'c'.